Hope you are enjoying all the fabulous French Kiss creations this month. 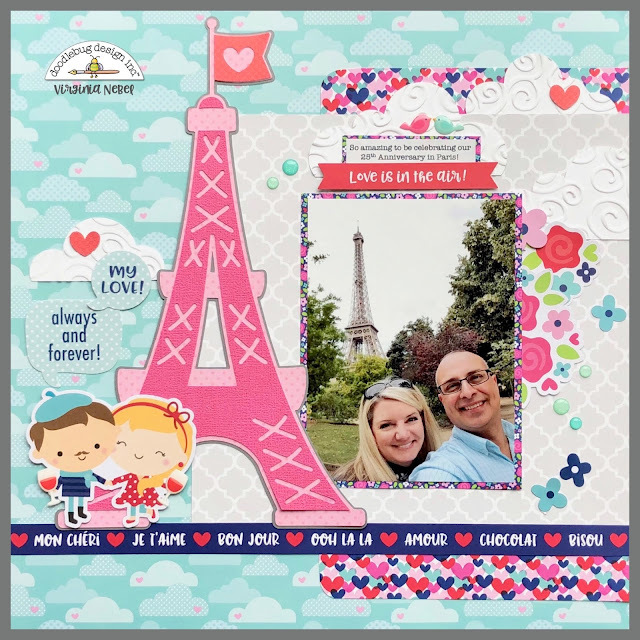 For the project I'm sharing today I went 'all in' with the Paris love theme. This page shows my sweet friend, Catherine and her handsome hubby, sharing a beautiful moment in front of the Eiffel tower celebrating their 25th Anniversary! 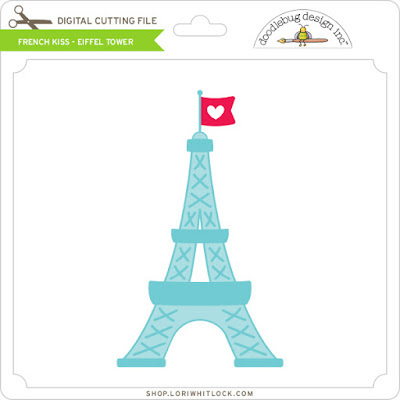 A memorable photo capture with the iconic Eiffel tower in the backdrop calls for a equivalent memorable embellishment and the Eiffel tower electronic cutting file (available at Lori Whitlock) is perfect for this occasion! 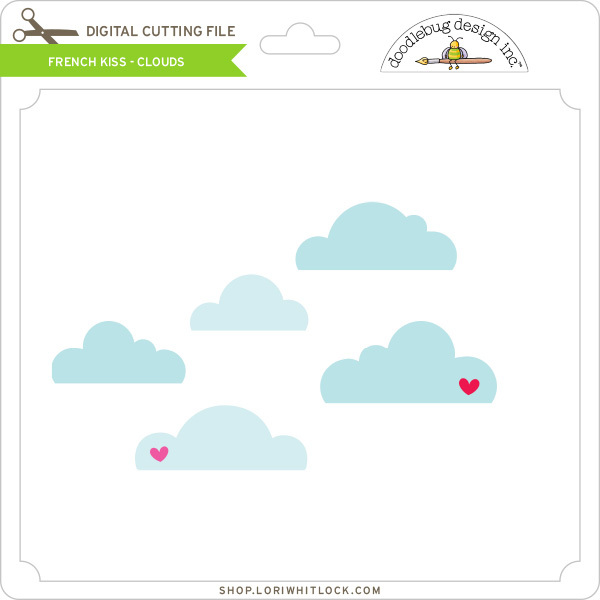 I used the 12x12 clouds paper for the page base and I played up this motif by cutting out additional clouds in white card stock and dry embossed them to add texture. 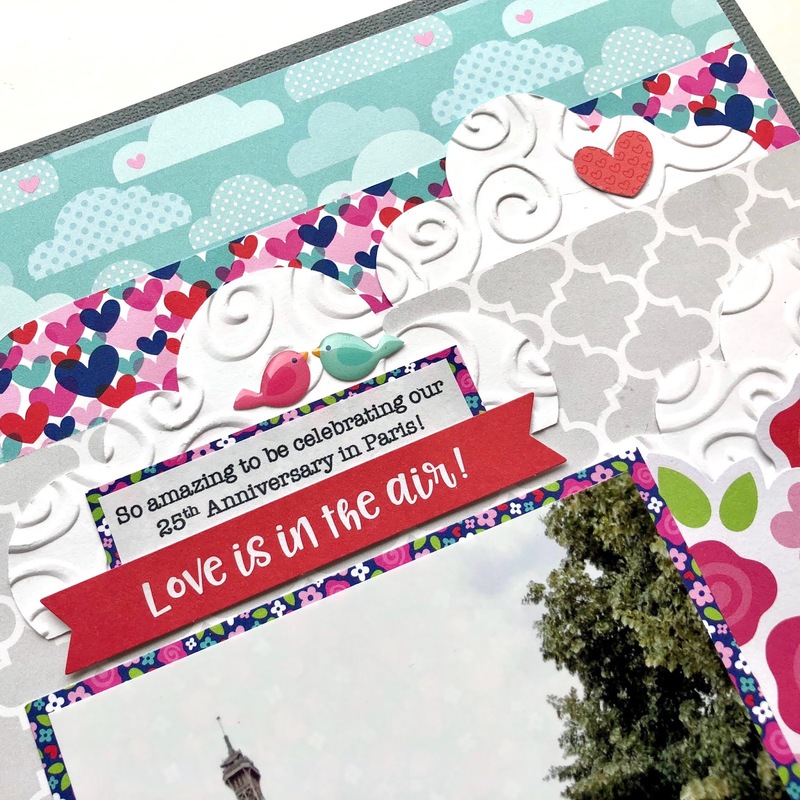 The chit chat speech bubbles are great way to embrace the sentiments on this page, there are so many in the package, you are sure to find something that will fit your theme. 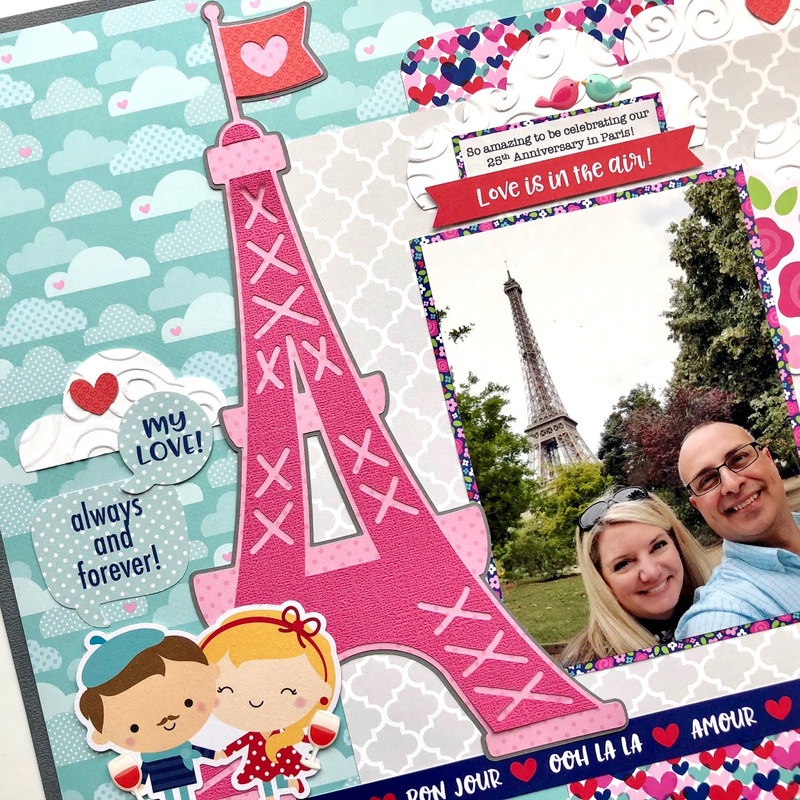 Thanks for dropping by the blog today, hope you have an awesome crafty day!